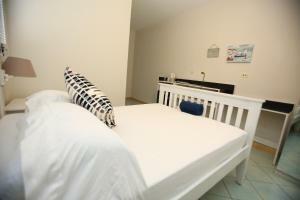 ﻿ Best Price on Hermitage Bay - All Inclusive in Saint Mary + Reviews! This beachfront resort is in the secluded Hermitage Bay. On 16 acres of tropical gardens, it offers a Spa with massage services, an outdoor pool and a gym. The detached suites and cottages at Hermitage Bay All Inclusive are spacious and elegantly decorated. 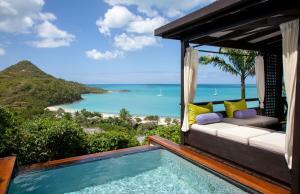 They offer sea or garden views and the hillside suites include a private plunge pool. All feature flat-screen TV, iPod docking station and a minibar. Hermitage Bay has a beachfront restaurant serving regional dishes made with organic produce. There is also a poolside bar and open-air lounge, and cookery courses and demonstrations are available. Water sports are provided on the beach, and yoga and pilates classes are offered. The Jolly Harbour Marina complex is just a 10 minute drive away, and has a golf resort and helicopter trips to Montserrat. Hermitage Bay is a 40 minute drive from VC Bird International Airport and St John’s can be reached by car in 30 minutes.